Signed for the 2003-04 season by Panathinaikos Athens. Back to Panathinaikos for the 2008-09 season. .moved to Italy for the 2009-10 season, signed by Victoria Libertas Pesaro. On January'12 moved to Russia, signed by Enisey Krasnoyarsk. 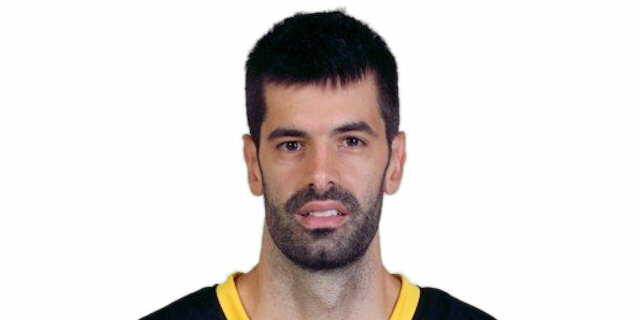 Moved to Greece for the 2014-15 season, signed by AEK Athens. Won the 2003-04, 2004-05, 2005-06, 2006-07 and 2008-09 Greek National Championship with Panathinaikos Athens. Won the 2005, 2006, 2007 and 2009 Greek National Cup with Panathinaikos Athens. Member of the Greek U-18 and U-20 National Team.